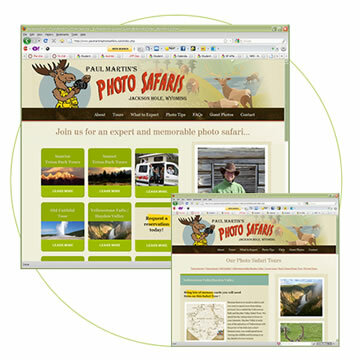 Site design and build for Paul Martin's Photo Safaris provider of fun and educational photo safaris through the wild Teton and Yellowstone areas. Jackso Hole, WY. Site design and build, print design.